MERSEYSIDE'S Police Commissioner is supporting a national campaign to raise awareness of a system which helps people alert Police when they are in imminent danger but unable to speak. Jane Kennedy is backing a campaign launched by the Independent Office for Police Conduct (IOPC) promoting the Silent Solution which enables a 999 mobile caller who is too scared to make a noise, or speak, to press 55 when prompted; to inform Police they are in a genuine emergency. The system is long established in the UK, but is only effective if the public know and understand how it works. It could, in extreme situations, potentially save a life. The 'Make Yourself Heard' campaign is being launched during National Stalking Awareness Week, that ran over 8 April to 12 April 2019, with support from the family of murder victim Kerry Power, Women's Aid and Welsh Women's Aid, and the National Police Chiefs' Council. Prior to her murder, Kerry believed that if she made a silent 999 call she would not need to speak or make a noise for Police to send assistance. Sadly her call was terminated and was not put through to the Police Control Room because she did not know to use the Silent Solution 55 prompt. It is not true that Police will automatically attend if you make a silent 999 call. Callers need to listen and respond to questions and instructions, including by coughing or tapping the handset if possible, or if using a mobile phone, once prompted by the automated Silent Solution system, pressing 55. The system then filters out thousands of accidental or hoax silent 999 calls made daily. Around 50 emergency calls a day from mobiles are transferred by a BT operator to Police forces in the UK as a result of someone having pressed 55 when prompted, enabling the Police to carry out urgent enquiries to respond. IOPC Regional Director Catrin Evans said:- "It is always best to actually speak to a Police call handler if you can, even if by whispering, but if you are putting yourself or someone else in danger by making a sound, there is something you can do. 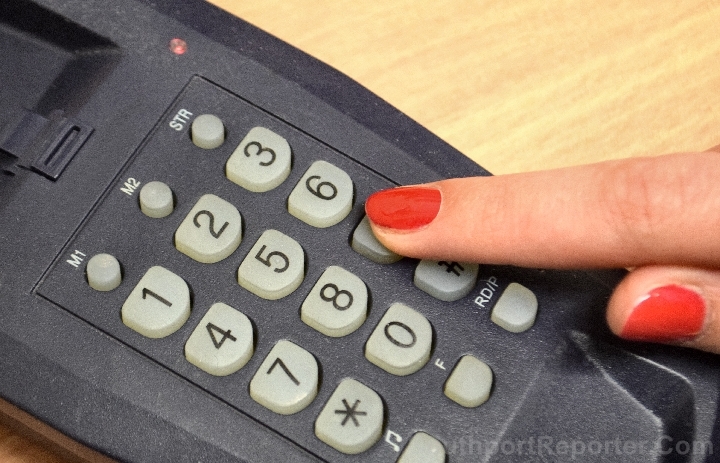 Make yourself heard by coughing, tapping the handset or once prompted by the automated system, by pressing 55. We found from our investigation into Police contact with Kerry that there is a lack of public awareness of the Silent Solution system and are keen to share this important information as widely as possible. It could potentially save a life." Merseyside's Police Commissioner Jane Kennedy said:- "The Silent Solution was designed to tackle hoax calls, but it can play a vital role in getting emergency assistance to people who are in real danger. The system only works if people know it exists and know how to use it, giving them a voice even when they can't speak out. That's why I am pleased to be supporting the IOPC and the family of Kerry Power in publicising this system and urging organisations, community groups and families across Merseyside to spread the word about silent 999 calls." Kerry made her silent 999 call, within the early hours of 14 December 2013, when her ex-partner and stalker broke into her home. She did not respond to the BT operator's instructions and her call was transferred to the Silent Solution system. As 55 was not pressed, the call was terminated and Devon and Cornwall Police were not notified of Kerry's call. Her ex-partner David Wilder called Police later that morning to report he had fatally strangled her. Kerry's family said:- "Happy, fun loving and considerate are all words you could use to describe Kerry, however the 1 thing everybody would mention 1st would be that she was the consummate mum. After a split from her son's dad and a tough few years, things were on the up, Kerry was back to her old self and was looking forward. Unfortunately this was all brought to an end by the brutal actions of her ex-partner in December 2013. After weeks of stalking and inappropriate behaviour, he broke into Kerry's house with a key he had previously had cut, unable to accept her decision to end their relationship. As things escalated Kerry became worried for the safety of herself and her son, who was asleep upstairs and called:- 999. Although she was not able to speak for the fear of alerting the intruder to her actions, she followed the advice given by a Police Officer during an earlier visit; that she could call and not speak, as the Police held her details they would be alerted and attend. Unbeknown to Kerry, this was fiction and nobody came…… a short while after the call, she was strangled." Lisa Johnson, Manager of Direct Services at Women's Aid, said:- "For survivors of domestic abuse calling the Police might be too dangerous. Many abusers will threaten to hurt or even kill them if they try to speak out about the abuse. This means that for far too long many women have not been able to access the emergency support they so desperately need from the Police. For a long time we have been encouraging survivors to use the Silent Solution system to make a silent 999 call, if they feel it would be dangerous for them to speak to the call operator. That's why we are pleased to work with the IOPC to help raise awareness of the system so that survivors can call:- 999 without putting themselves at further risk and prevent further lives, like that of Kerry Power, from being taken." National Police Chiefs' Council Lead for Contact Management, ACC Alan Todd said:- "1 of the fundamental roles of Police is to help people in an emergency. The Police service receives 12 million 999 calls each year, and a small number of callers need to use the:- 'Silent Solution' as they are not able to use their voice during an incident. This solution ensures that those who need assistance can make themselves heard through a simple and straightforward process." THIS is our exclusive in-depth video interview with Jane Elizabeth Kennedy, who is the outgoing Merseyside Police and Crime Commissioner. She was also the 1st ever to hold this post and explains in this video, what the job is about and what she hopes will happen in the future. To read the transcript and audio only, please click on here. Her role replaced the Merseyside Police Authority as part of the Police and Social Reform Act. The post was created in November 2012, following an election held on 15 November 2012 and was re-elected in 2016. Yu can see our coverage of the 2012 Election via clicking on here and our re-election coverage here. Also you can still watch the video footage we shot at the Count, when she was re-elected on YouTube. More information about the Merseyside Police and Crime Commissioner post can be found on Twitter and on the 2 official websites:- MerseysidePCC.Info and Merseyside.Police.UK. MERSEYSIDE Police have confirmed that they arrested 2 males, on Wednesday, 10 April, at around 6.30pm, on suspicion of robbery, following an incident at Hightown Train Station. We are told that Police were called after a male was riding his bike, in Hightown, when he was approached by 2 males armed with a knife. The offenders took the bike and boarded a train, heading in the direction of Hunts Cross. Officers from Merseyside Police, assisted British Transport Police, detained the 2 males, at Crosby and Blundellsands Station and recovered the bike. Detectives are investigating and would appeal to anyone who witnessed the incident to get in touch as they may be able to help with the investigation. Chief Inspector Peter Clark said:- "This must have been very frightening for the victim and we are keen to speak with anyone who has any information to get in touch so that we can bring the offenders to justice. We were able to assist British Transport Police and respond quickly to arrest 1 male on the train and another on the platform. Anyone with any information about this incident, is asked to call:- 101, quoting reference:- '0924 of 10 April 2019' or contact Crimestoppers UK anonymously on:- 0800 555 111." Walton Hall and Gardens Food Festival is this weekend! PREPARATIONS are well under way for the Cheshire Food Festival taking place in the grounds of the lovely Walton Hall in Warrington over the weekend. Over 50 different traders will be in attendance, amongst them artisan food producers and street food vendors will be busy making, preserving, baking and packing, jams, cakes, cheese, chocolates and lots of other tasty treats! Along with wonderful food and drink producers there will be a fantastic chef demos, live music and kids entertainment. There promises to be a family friendly atmosphere with lots to see and do including live music on the band stand, chef demos in the stables courtyard and the fantastic petting zoo, kids corner and crazy golf all being open, and best of all the event is free! So Bring a blanket and sit out for the day enjoying great food and drink, live music and beautiful surroundings. The perfect recipe for a fun, foodie day out for the whole family.